Innovators face a growing epidemic of litigation from so-called "patent trolls" - companies that do not make or produce products, but sue those who do. Last year the majority of patent lawsuits were brought by such entities, at an estimated overall cost to the US economy of $20B. 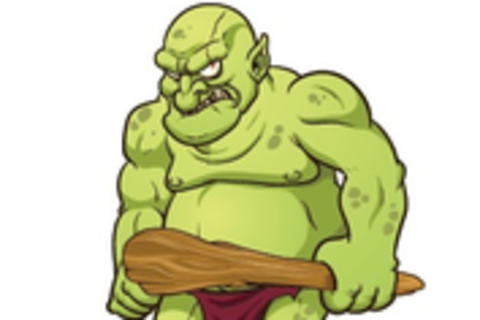 Patent trolls use broad and vaguely-worded patents to bring infringement claims against innovators, and demand payment of a "license" to avoid a lawsuit. They are able to exploit the legal system because they know that the cost of defending a lawsuit can range into the millions of dollars - more than the victim is able to pay. Once primarily a problem for large companies, today's cost common patent troll targets are small startups that do not have significant resources or legal departments. This panel presents a leading Member of Congress along with innovators and public policy advocates discussing how we can protect ourselves from the patent lawsuit tsunami. Julie Samuels, a Staff Attorney and the Mark Cuban Chair to Eliminate Stupid Patents at EFF, focuses on intellectual property issues. Before joining EFF, Julie litigated IP and entertainment cases in Chicago at Loeb & Loeb and Sonnenschein Nath & Rosenthal. Prior to becoming a lawyer, Julie spent time as a legislative assistant at the Media Coalition in New York and as an assistant editor at the National Journal Group in D.C. She was also an intern at the National Center for Supercomputing Applications. Julie earned her J.D. from Vanderbilt University and her B.S. in journalism from the University of Illinois at Urbana-Champaign. Michael Petricone is the senior vice president of government affairs for the Consumer Electronics Association (CEA). In his position, Michael has been responsible for representing the CE industry's position before Congress and the FCC on critical issues such as instellectual property, privacy and home recording rights. Mr. Petricone is a frequent speaker on policy issues impacting the technolgy industry, and was featured by Dealerscope Magazine as one of the technology industry's "Top 40 Under 40" and one of Washingt Mr. Petricone received his law degree from Georgetown University Law Center and his undergraduate degree from Tufts University. CEA represents more than 2000 of America's most innovative companies, and sponsors and manages the International Consumer Electronics Show (CES), the world's largest annual trade event showcasing innovation.